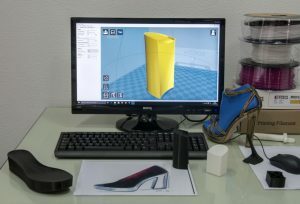 HOW ARE NEW HEELS CREATED? So how do you go about creating stand out shoe heels? We asked Vanplast, one of our valued members at Total Shoe Concept. 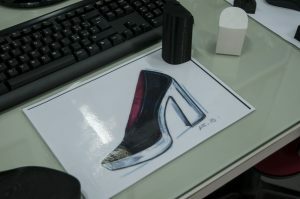 Our client sends us a drawing of the shoe that they want us to create. We then produce a 3D model of the heel following the instructions of our client. We proceed to create a resin prototype with our 3D printer. 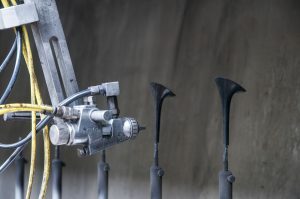 The prototype is tested and mounted on an accurate last. Of course, creating new moulds does cost, but companies like Vanplast have many types of heels already available for you to use. It’s not always necessary to create a heel from scratch. It all depends on the last you want to use and if they have a heel suitable for that last. You can also decide to amend the last to fit the heel. When you are at prototype stage ‘anything’ is possible. Ultimately the heel makers are the experts and they will be able to advise you on what you need. The shoe factory you work with can also provide you with technical advice. You don’t have to be a great technician to create heels for your shoes, just make sure you work with the right partners; companies that know what they are doing and are passionate about creating beautiful shoes. Vanplast is located in the south of Italy, ideal if you are manufacturing in Europe or if you are looking for Italian craftsmanship. You can contact Vanplast directly by visiting their company profile here.